Since Land Rover deserted the ‘proper’ 4WD market, only three manufacturers have flown a more serious flag in the UK, states Iain Robertson, which underscores the value of SUVs in some respects but, focussing on the Merc, hardly widens the field of choice. When I reflect on my grandfather’s farming history, his 4×4 requirements, essential as they were to crossing remote, hilly countryside in the Scottish Highlands, were managed by an Austin Gypsy and an early Land Rover 109. They were the ‘serious’ vehicles, as he operated a small fleet of Thames (Ford) vans for deliveries of fresh meats and a family Humber for church duties. The SUVs that proliferate these days are a soft option that gifts a more butch on-road presence to vehicles that would simply never be capable of reaching the deep glen outposts of his land. While Jaguar-Land-Rover (JLR) has been headline news of late, for mismanagement, improper design and careless forward planning (although they may not be the excuses issued by the company), it made a major error in terminating Defender production (its only true working 4×4) around four years ago. While its exhaust emissions were always going to cripple its existence, for the firm not to have a viable replacement in the pipeline remains shocking. 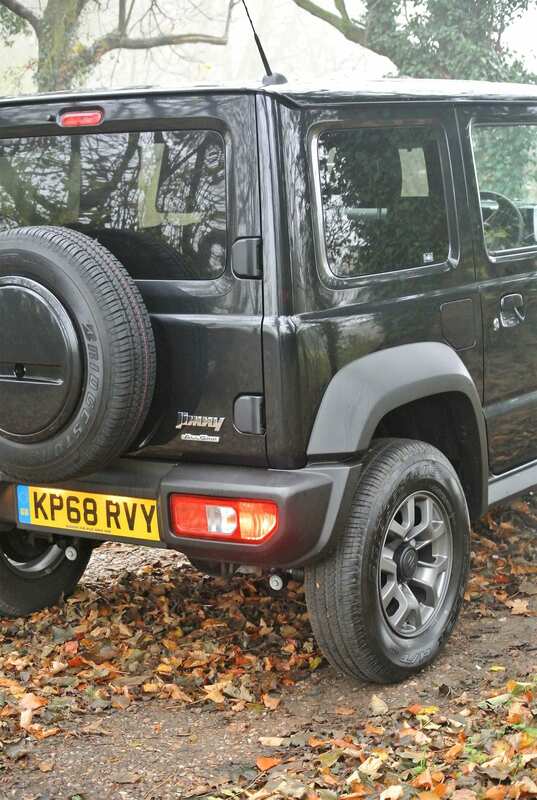 In the meantime, the impish Suzuki Jimny (in its latest guise) offers all that determined agriculturists and field workers might ever need in mobility terms, at a remarkably friendly sub-£18,000. With four seats, a frugal 1.5-litre petrol engine and the beefiest of suspension and 4×4 traction systems available, it is a far-from-minimalist alternative to the ‘great’ Defender and makes enormous sense for those professionals needing its off-road competence. 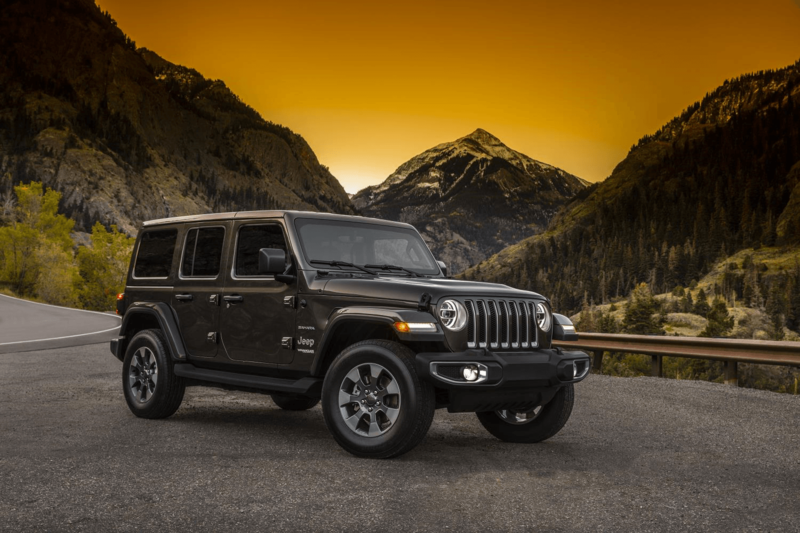 Doubling (and a bit) the budget might get you the keys to the latest Jeep Wrangler, which I shall be subjecting to a comprehensive test in just a few weeks’ time. Naturally, Jeep has one of those life-affirming ranges of capabilities that has been honed for longer than any of the current crop of 4×4 manufacturers. Okay. It’s American but it is subjected to the rather strange but equally affirming US ‘Lemon Laws’ that ensure what it states on the ‘tin’ is what you actually get. Having contested the annual Jeep Jamboree (based on Lake Tahoe and the High Sierras mountains), I can tell you that the adjective ‘indefatigable’ has no finer synergy than with Jeep. Tough, uncompromising and featuring ‘bowel-cleansing’ potential, its CJ model is the ultimate outdoorsman’s steed. It is not the least costly on the block but it does sit happily between Suzuki and Merc in its retail offering. The latest Mercedes-Benz G350d is now available to order, with list prices starting at a king’s ransom of £94,000, before any dealer discounts are offered. It makes the new Jeep Wrangler look cost-effective at half the price, while explaining the remarkable sell-out popularity of Suzuki’s latest bargain basement Jimny, which starts at a whisker off £15,500 (in SZ4 trim). The new G350d is the consummate blend of G-Class styling, complete with visible (antique-value) door hinges and rugged go-anywhere capability. 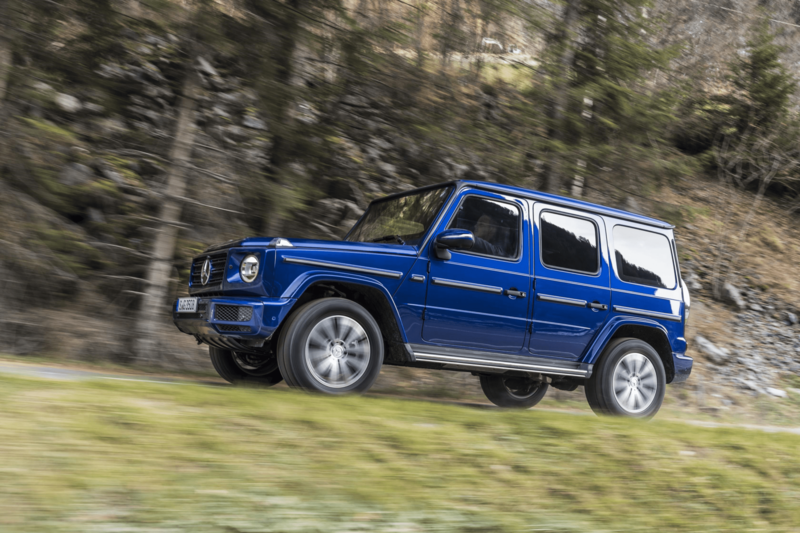 Powered by a 3.0-litre six-cylinder turbo-diesel engine, with an output of 286bhp and a whopping 442lbs ft of pulling verve, it is the most potent diesel engine to have ever been fitted to a G-Class. It can accelerate from 0 to 60mph in a moderate 7.1s and has a top speed of 124 mph. It delivers up to 29.4mpg on the official combined fuel cycle and emits 252g/km of CO2 (dependent on wheel size). Merc’s evolutionary newcomer comes as standard with 20-inch AMG multi-spoke light alloy wheels, LED high-performance headlights, electrically adjustable and heated wing mirrors, leather seats, 12.3-inch cockpit display and 12.3-inch media display. Ambient interior lighting, with a choice of eight colours, AMG bodystyling, electrically adjustable/heated front seats, with memory function, heated rear seats and a full suite of driver and safety assistance programs that include blind spot assist and active distance cruise control. Keyless-Go start:stop, active lane keeping assist, Thermotronic automatic climate control, with three climate zones, and radiator grille with chrome trim elements complete the package. In typical Mercedes-Benz form, there is a number of option packages available at significant extra cost. The Premium package costs £5,995 and comes with Multibeam intelligent light system, adaptive air suspension, Burmester sound system, interior air ionisation, ambient interior lighting, with a choice of 64 colours, sliding sunroof and a parking package with a 360o camera. The Night package can be added for £1,700 and includes 20-inch AMG multi-spoke light alloy wheels painted in black, with a high-sheen finish, darkened indicators and tail lights, black radiator grille, black exterior mirrors, heat-insulating dark-tinted glass and black spare-wheel ring. The Winter package costs £1,750 and brings a heated windscreen and auxiliary heater with remote control, although a heated steering wheel is available in conjunction with the Winter package for an additional £275. The Rear Seat Entertainment package is available for £2,995 and comprises two 10-inch touchscreen displays, a digital TV tuner, integral media player and Internet access. Of course, whether you would entrust your £100k-plus Merc Gelandewagen to the rigours of farm work, haring along forestry tracks, or even being parked at the cattle auction, would always be in question…but, then, Range Rovers of a similar price-tag are almost de rigueur in that segment, so who knows? To be fair to Suzuki, the much-valued tiddler in this specialist trio, even in top SZ5 trim, there is not much to be desired. It possesses all of the gear of the Merc, just at a sixth the price. The same applies to the returning, half-the-price Jeep, which we are testing imminently. While it is sad that Land Rover has still not presented its replacement for the much-loved Defender, we are informed that it should be along later this year, the company’s much-heralded problems notwithstanding. Conclusion: If your desire is for the most capable 4x4s available, your choice is presently limited to the three brands mentioned but the new Merc G350d is a welcome addition for hardened (and wealthy) enthusiasts.